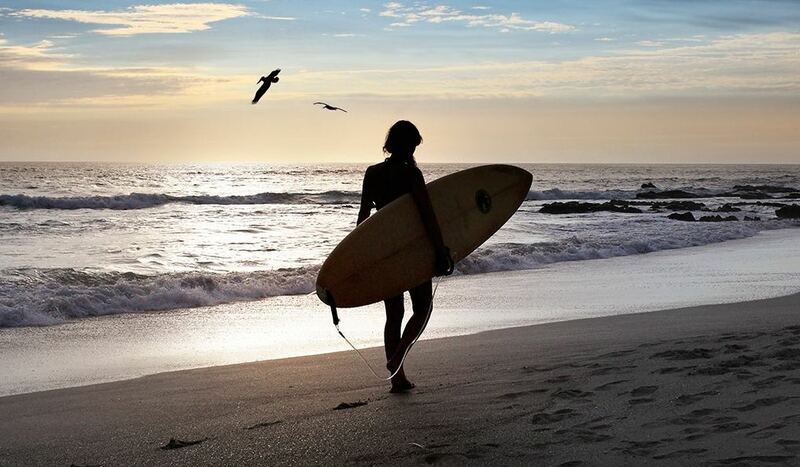 Q TRAVEL – I don’t know if breakfast is really the most important meal of the day. For many it’s often the last thing they think about at night and the first thing when they wake up, so we spend a lot of time with breakfast in the mind. Or is the most successful marketing campaign in history. 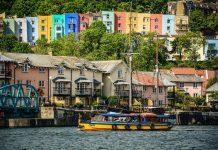 For some, it is their favorite meal of the day, even though breakfast means very different things depending on where you are in the world. In other parts of the world, it includes meat or eggs or rice or vegetables or even soup or simple toast. At the Q we’ve taken a look at what the first meal of the day looks like in different countries around Latin America. In Argentina, breakfast is a thoroughly simple affair. Desayuno Argentino the traditional Argentine breakfast that includes authentic breakfast pastries such as medialunas, facturas, and bizcochos. 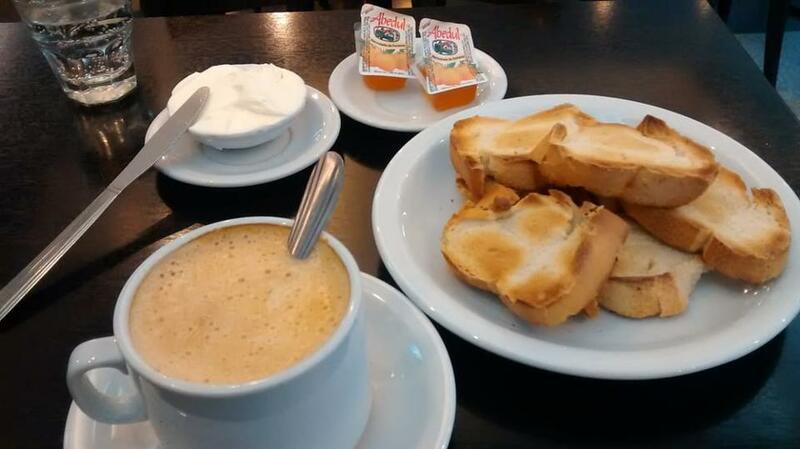 Desayuno Argentino can be enjoyed with a cafecito, café con leche, tea, mate, and orange juice. 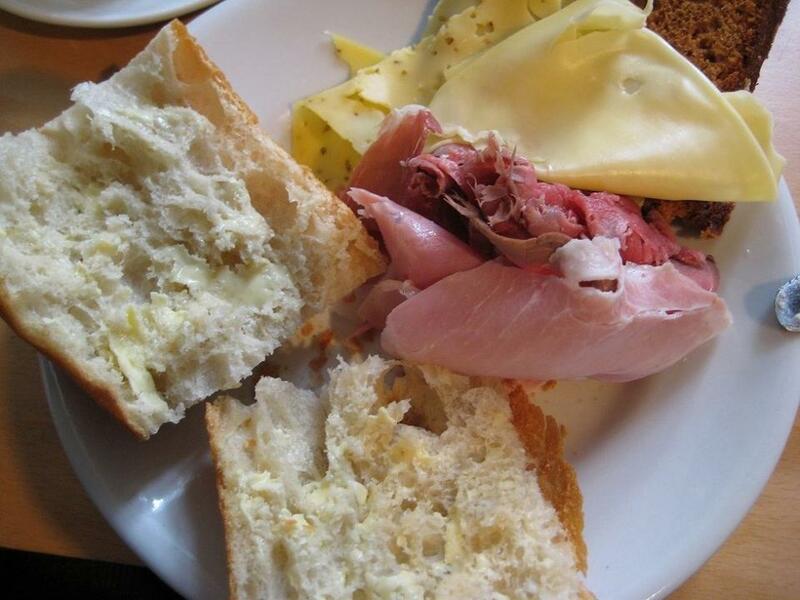 Bread, cheese, and ham are all commonly enjoyed together for breakfast in Brazil, along with a black bean and meat soup. The area is the base of the classic Colombian breakfast and is a sweet corn cake which is served with butter, eggs, meat or jam. 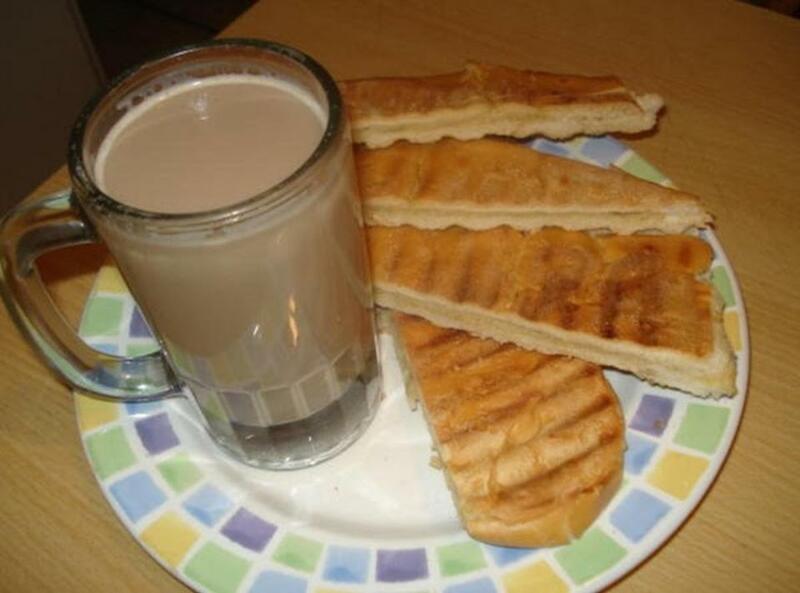 In Cuba, the typical breakfast food is tostada which is buttered and grilled bread served with or dunked into coffee. 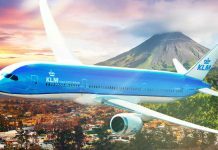 Time slows for breakfast in Costa Rica, allowing for time to enjoy a Gallo Pinto, a meal consisting of rice and beans mixed together, fried or scrambled eggs, fried plantains and tortillas. Can’t forget to pour the Salsa Lizano, is a sweet greenish brown salsa with a hint of spice. The Salvadoran typical breakfast is largely consumed by the majority of the population of El Salvador, consisting of fried beans which are then freídos, cream, butter, and cheese or curd, fried plantain. 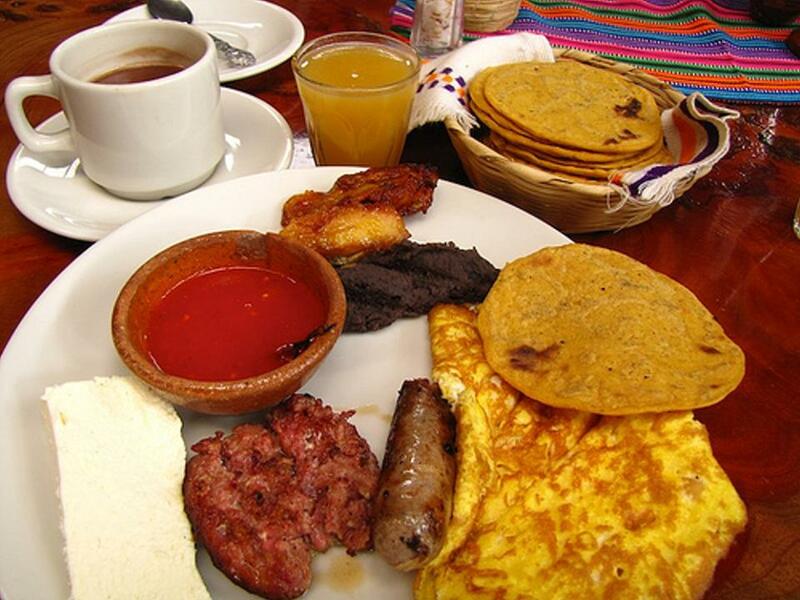 The typical Guatemalan breakfast must include black beans, fried plantain, fresh cheese, eggs, bread or tortillas, chirmol (tomato sauce), salsa verde (green tomatillo sauce), fresh fruits, panqueques (pancakes), longaniza (white sausage), chorizo (sausage), coffee, mosh (oatmeal) or avena (the correct word in Spanish) and orange juice. 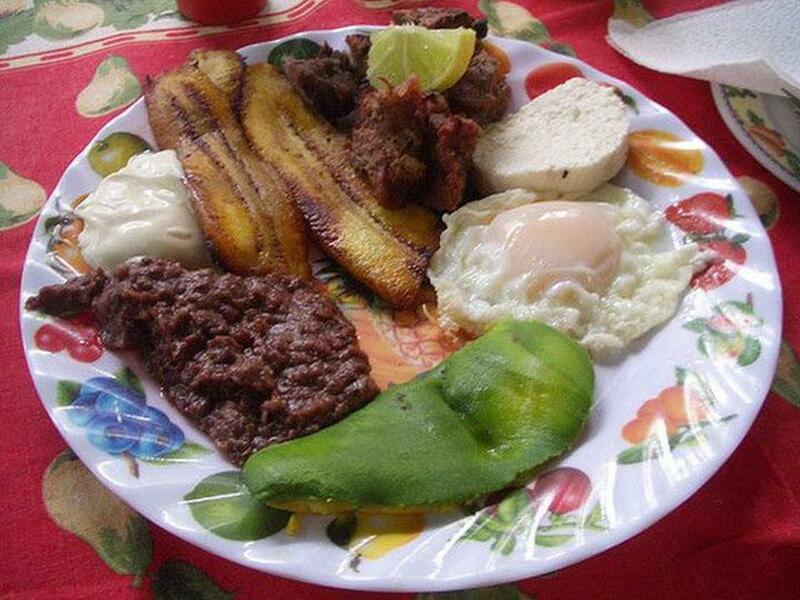 A typical Honduran breakfast usually consists of scrambled eggs, boiled or refried black beans and lots of tortillas. Locals like to have it with some local coffee. Breakfast in Mexico offers an option of sweet rools and coffee or a heavier option of heuvos rancheros (a tomato and egg based dish) or chilaquiles (salsa absorbed into fried tortillas). 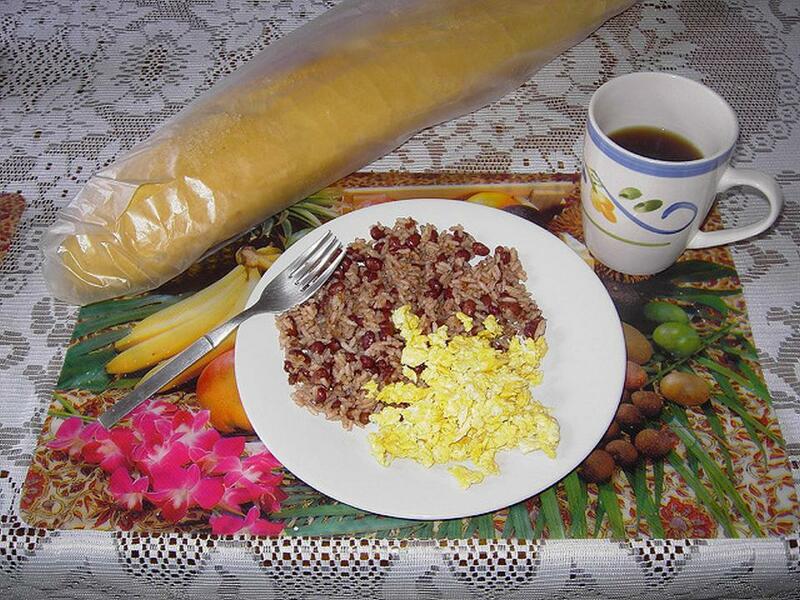 A common Nicaragua breakfast for rice and beans or Gallo Pinto (different than that in Costa Rica). It might have some chopped egg or vegetables mixed in with it, and you might have the option of putting natilla (kind of like sour cream) on top of it. 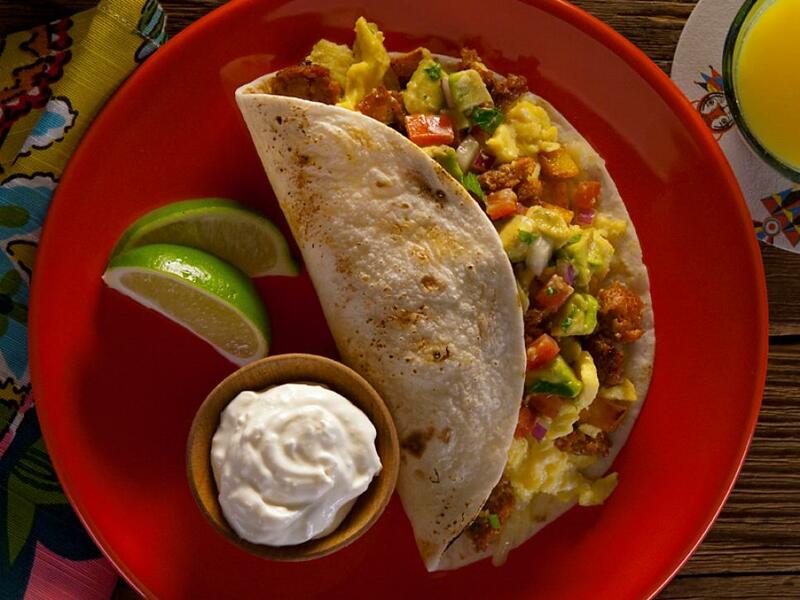 You eat it with a fork or place it in a tortilla. The Nacatamal, a mix of cornmeal, vegetable, potato, with maybe meat (chicken is the most common) wrapped in a banana leaf and boiled. The Nacatamal is a typical breakfast on Sundays. Panama’s breakfasts are very heavy. There’s a huge variety too, most of the time it includes tortillas, empanadas of all sorts, fried meat or chicken wings, chorizo, tasajo (dried red meat), etc. 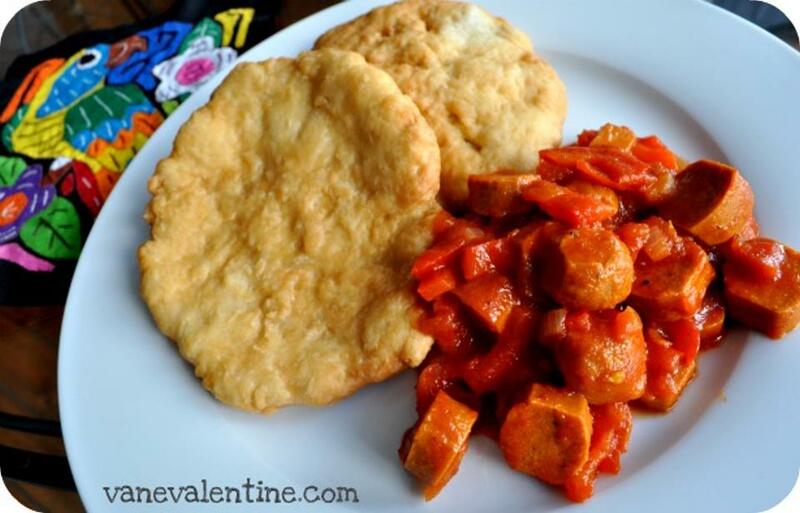 A very common Panamanian breakfast is hojaldas (aka hojaldres) with salchichas guisadas (sausages stew). 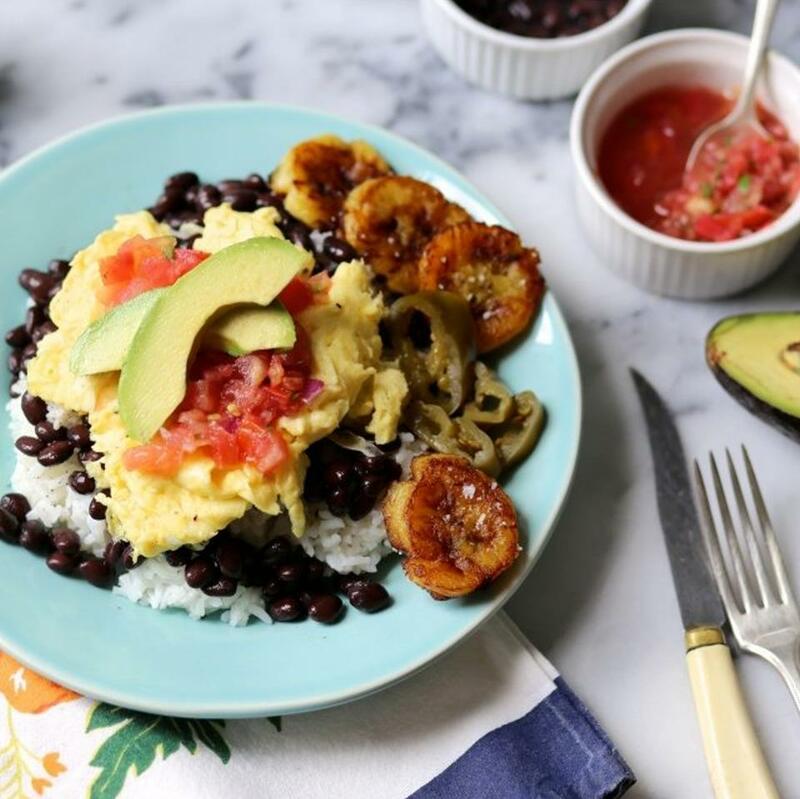 Much like the Colombian breakfast, Venezuela enjoys arepas for breakfast, except for a filing of salted cheese, butter, meat, eggs, beans or avocado (aguacate) salad. What’s your favorite morning meal? 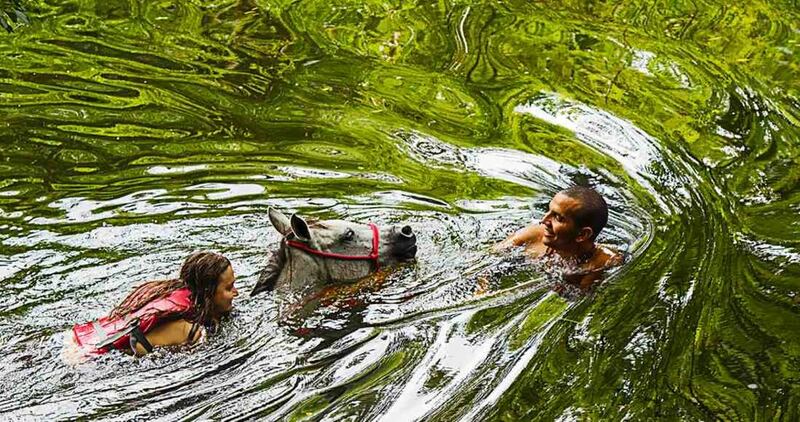 Share your favorite using the comments section below or post to our official Facebook page. For me, it’s a banana and grape-cran juice, coffee, and a homemade raisin bran muffin.